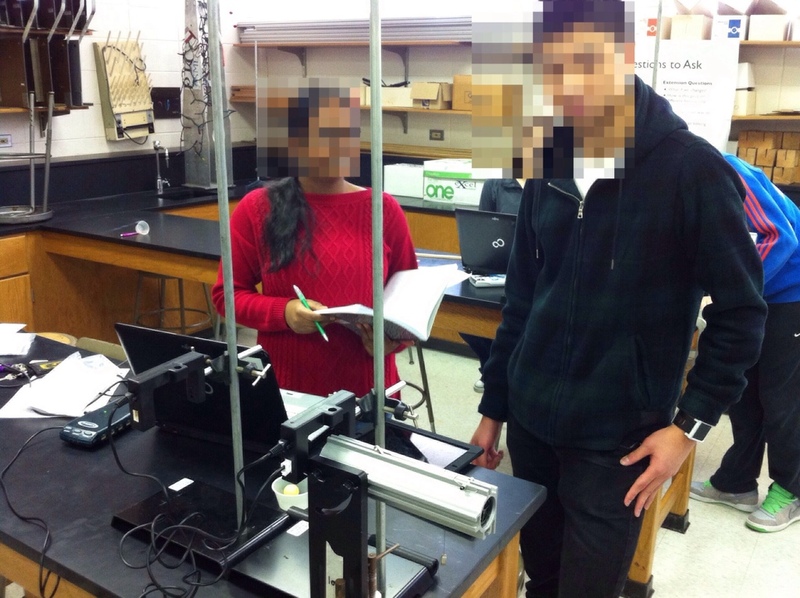 Today we did the Simple Harmonic Motion Mathematic Computation lab from the Advanced Physics with Vernier: Mechanics lab manual. 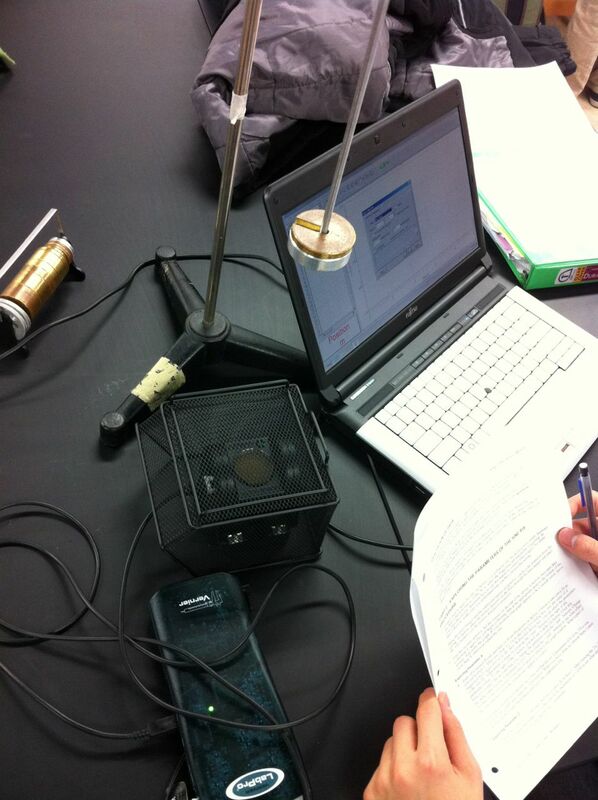 Students use a motion sensor to create a position vs. time graph, apply a sinusoidal curve fit, and then determine the relationship between the four coefficients of the equation and how to physically change the oscillator to affect those coefficients. 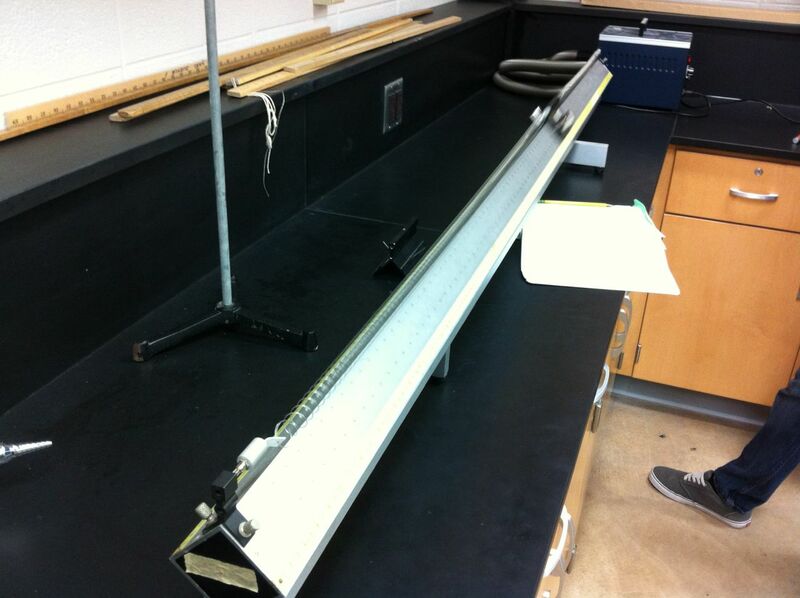 It works really well and helps students better understand amplitude, offset, frequency, and phase. While motion detector baskets are sold from science suppliers, I found it cheaper to buy wire mesh bins for the local office supply company. Last spring, I took eight of my computer science students to a Java competition. They had a good time and wanted to do more. 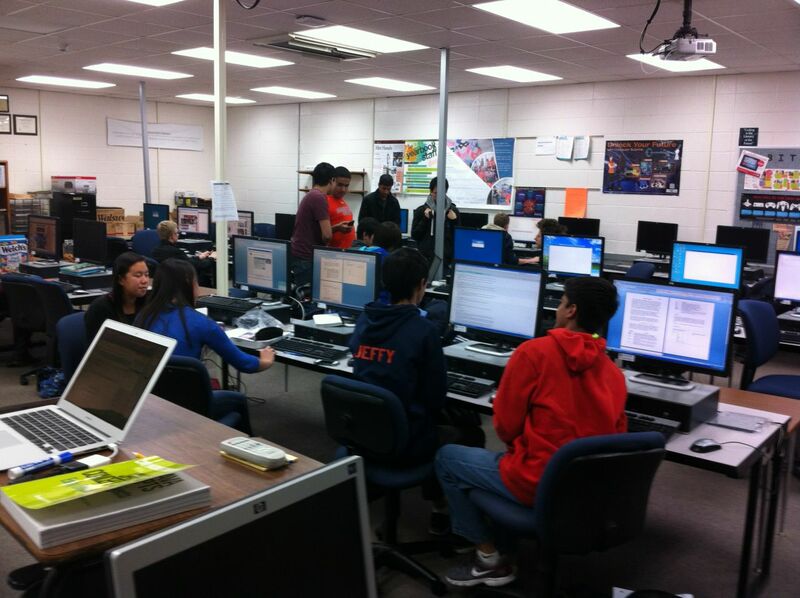 I also had several students who were sophomores and juniors and wanted to do more programming even though there weren’t any additional classes. So, this fall, we founded a programming team. Earlier this fall, we entered the Zero Robotics competition, and our team is currently in the alliance competition phase. We also registered for the American Computer Science League and will participate in our first contest next week. Today, after school, I led them in a short tutorial of ACSL Assembly Language in preparation for the competition. They also just like to hang out in the lab after school. I like this time of year. Students are comfortable in class, procedures have been established, confidence is increasing, and things are running smoothly. 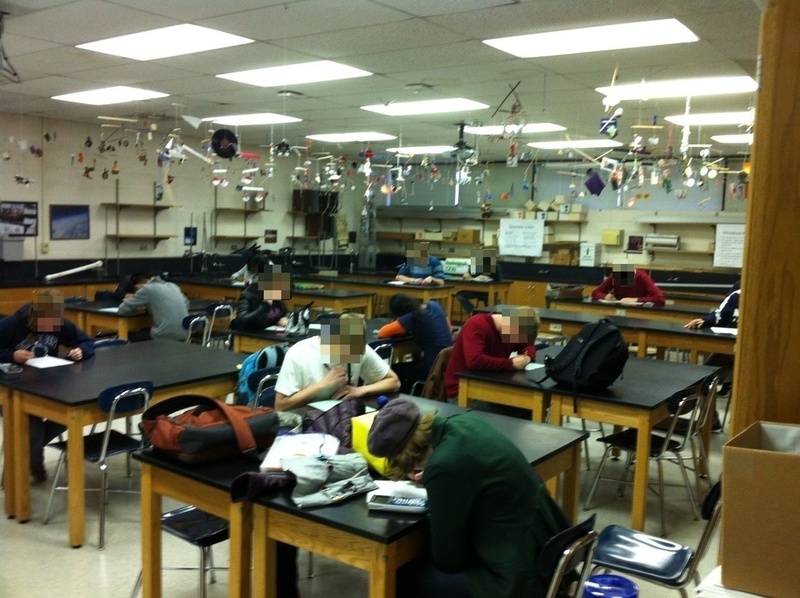 One example is students are writing themselves better feedback on quizzes. I learned of this technique from Frank Noschese. 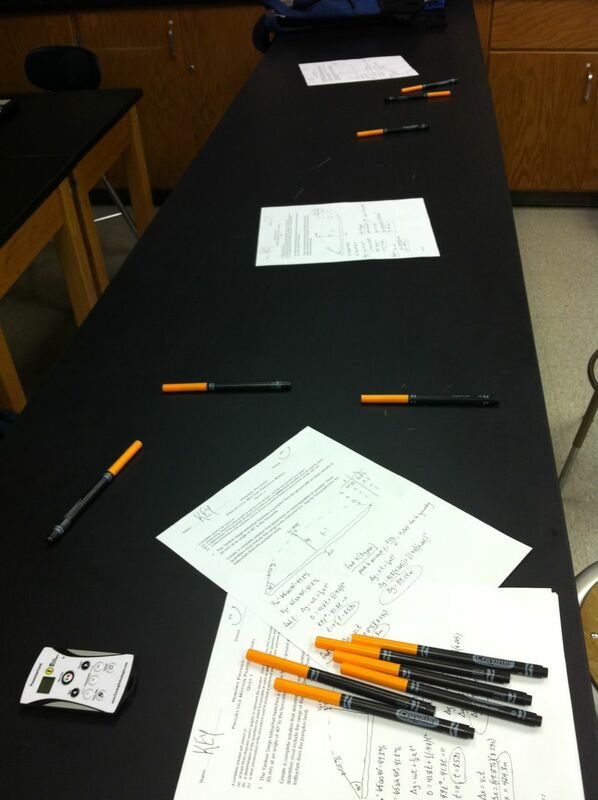 When a student is done with a quiz, they get up and head to the back lab tables where they consult the key and write themselves comments in an orange marker. The purpose is for them to reflect on their thoughts immediately after completing the quiz and capture this reflection in feedback to themselves. I usually still collect the quizzes, read their feedback, and write my own. While I encourage them not to focus on correcting their quiz, many do, but at least most of them also capture some other thoughts. Day 63: Anti-Curious George Escaped! The story is that Anti-Curious George was produced a Fermilab where they can make antimatter. (I usually get on a bit of a tangent about Fermilab, particle colliders, and high-energy physics.) Anti-Curious George is curious like his counterpart, but unlike his counterpart, he is not basically good, he is evil. Our job is to capture him by shooting him with the tranquilizer gun. 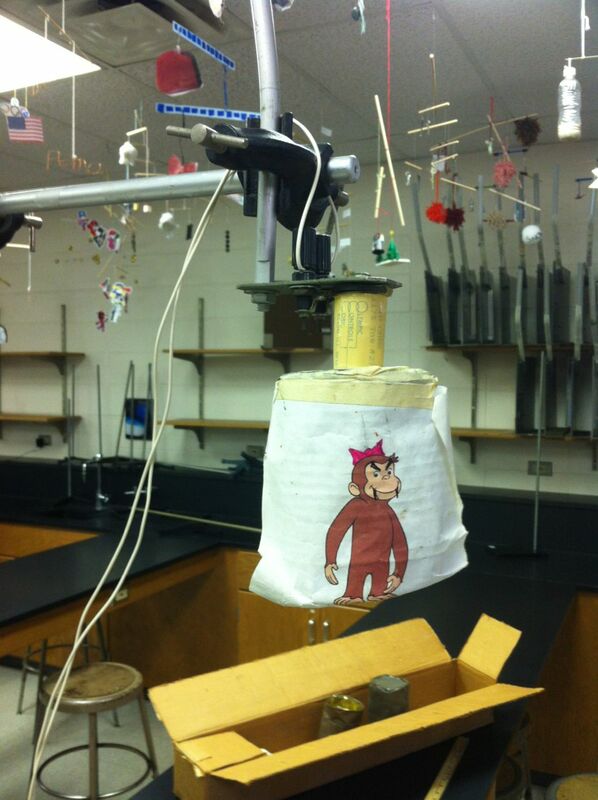 We share that we know from careful observation that Anti-Curious George will drop from the tree when we fire our gun. 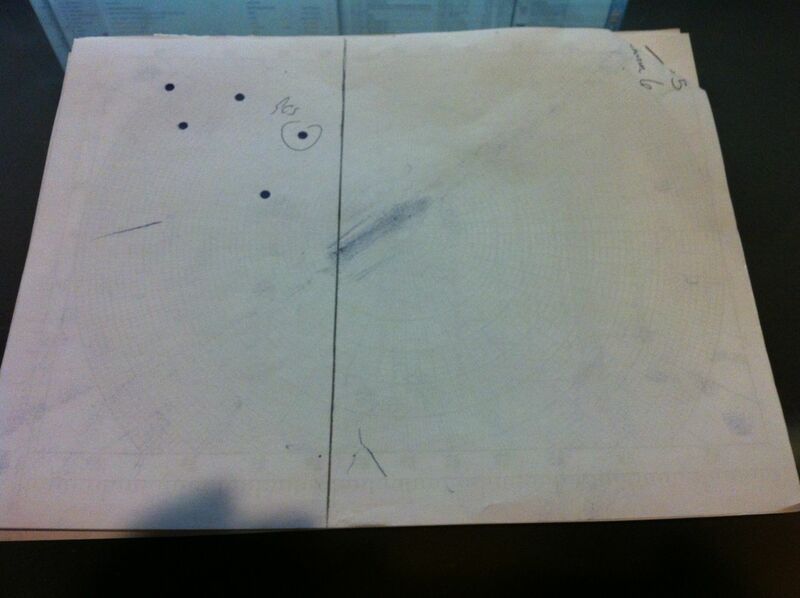 The question posed to the students is where to aim. Very few (usually none) predict that we should aim right at Anti-Curious George. After the surprising result of the demonstration, I challenge the students to explain conceptually why we should aim right at the target. 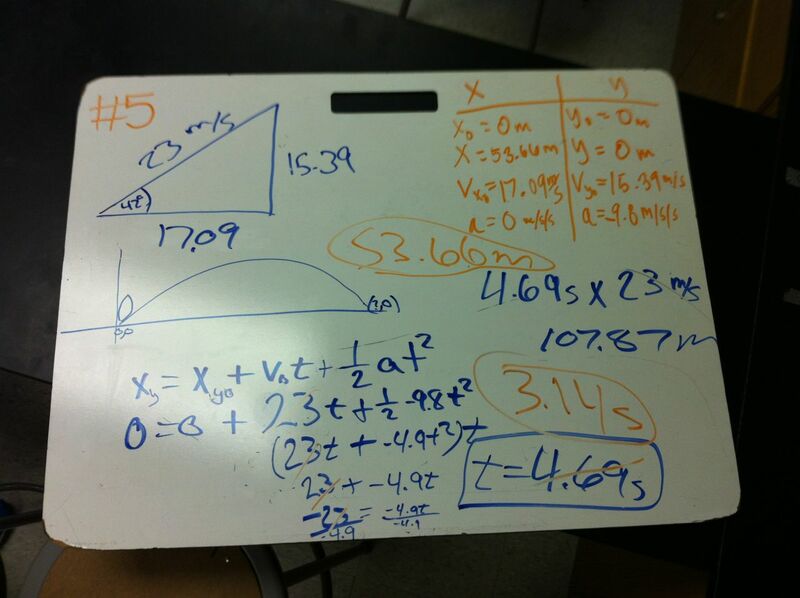 This is not easy and it was a few years before I developed a solid conceptual explanation that students would grasp. I also refer them to a problem in the text in which they can prove algebraically why this works. (First time I’ve referenced the text this year.) 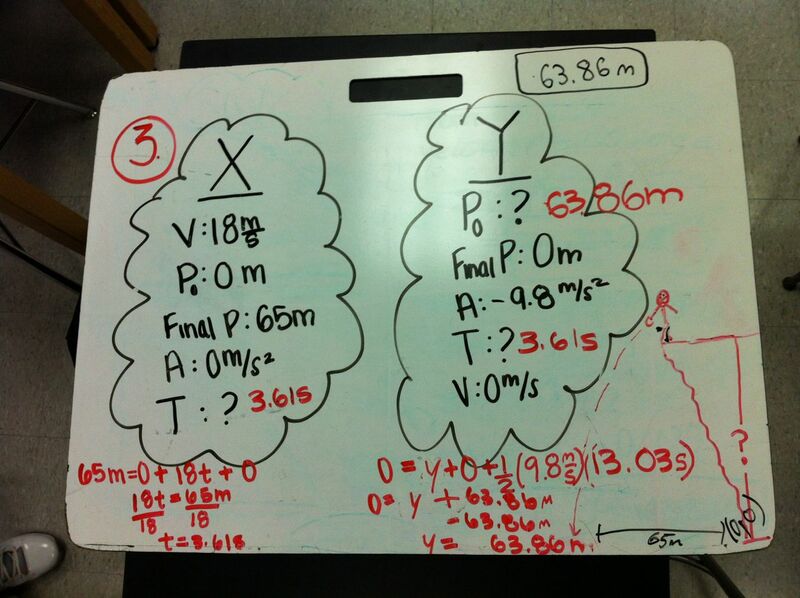 Tomorrow, we will discuss the outcome of this conceptually and algebraic challenge! Posted on 14 November 2013 2 Comments on Day 63: Anti-Curious George Escaped!